San Angelo ISD offers many career and technical courses that a student may take to earn vocational/technical dual credit or articulated credit. Dual credit courses offered to students in San Angelo ISD are college-level career and technical courses taken by high school students for which they receive high school and college credit at the same time. Howard College teachers or high school college-approved instructors teach these courses. Dual credit is available for students in grades 11-12 who are in good academic standing. High school counselors will provide specific eligibility requirements. Grades are awarded in the same way as college students who take the same courses. Howard College awards credit for a dual credit course immediately after successful completion of the course. Credit for articulated courses is given at graduation from high school. Vocational/technical dual credit courses are tuition free to students in San Angelo ISD. The 82ndTexas Legislature approved SB 1107 requiring all students entering a public, private, or independent institution of higher education in Texas as of January 2012 and thereafter, to provide documentation they have had a meningococcal (bacterial meningitis) vaccine or “booster” dose –within the last five years and at least 10 days prior to the first day of class. Students who fail to submit required meningitis vaccinations documents will be restricted from registering for classes. For more information contact your school counselor. The West Texas Training Center is a state-of-the-art training facility for SAISD students from Central and Lake View. Howard College is an educational partner in this facility. 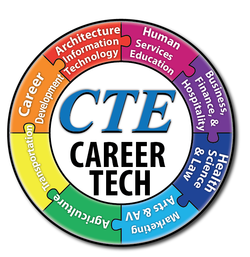 Students have the opportunity to take a variety of Career and Technical programs including advanced computer applications, agricultural mechanics/welding, computer maintenance, cosmetology, criminal justice, drafting, heating ventilation and cooling, health science, internetworking technology, 3-D animation, auto tech, auto body, construction, digital graphics, and audio video production. Transportation is provided from the two high school campuses. WTTC is located at 3501 North US Hwy. 67.